Nissan will exhibit the Teatro for Dayz, an innovative concept that signals a new direction in mobile technology at the upcoming Tokyo Motor Show. 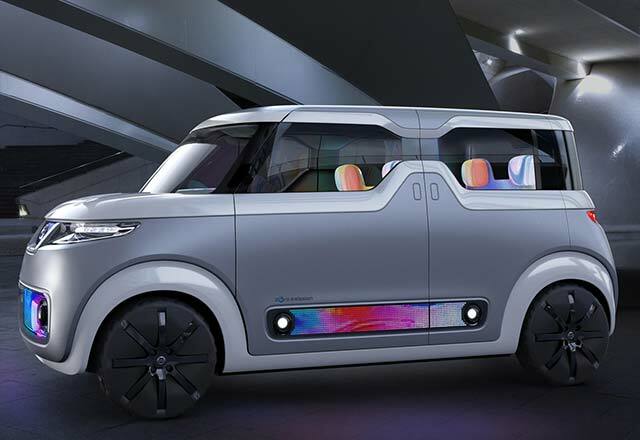 Designed especially for the digital native generation, the Nissan Teatro for Dayz is a vision of near-future vehicles departs from convention and marks a shift in perception. “The generation now getting their first driver’s licenses has always been connected through digital devices, email, social media and so forth,” Nissan product planning manager Hidemi Sasaki said in a statement. Teatro derives from the Italian word for theater. It is easy to picture share natives making Teatro for Dayz the center of an impromptu outdoor festival, or embarking on serious new-generation gaming fun complete with top-quality sound.